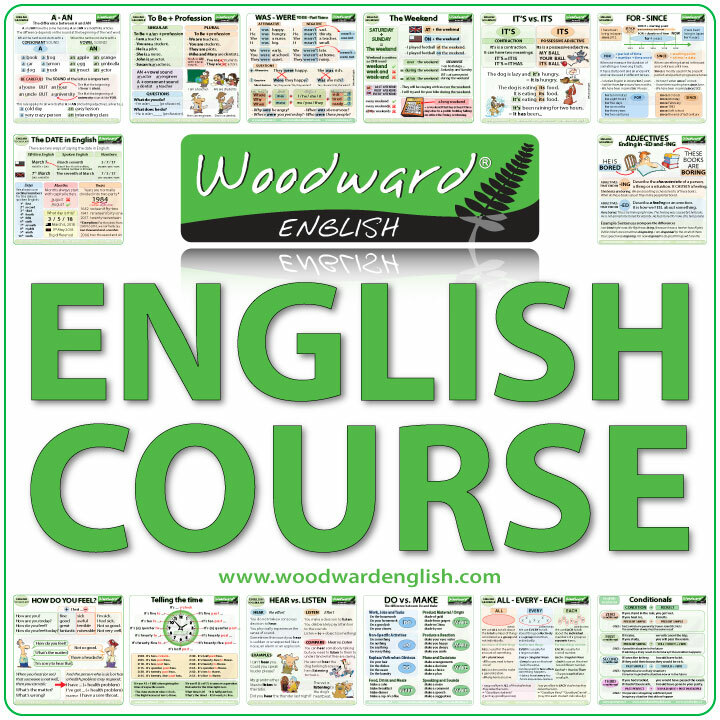 I have just created two new videos about Adverbs of Frequency. 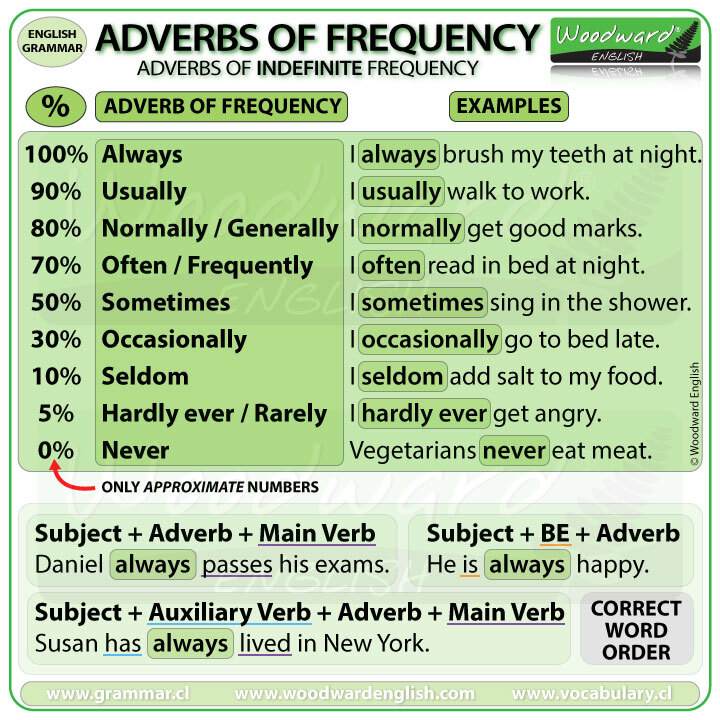 One is about Adverbs of INDEFINITE Frequency such as always, usually, normally, generally, often, frequently, sometimes, occasionally, seldom, hardly ever, rarely and never. 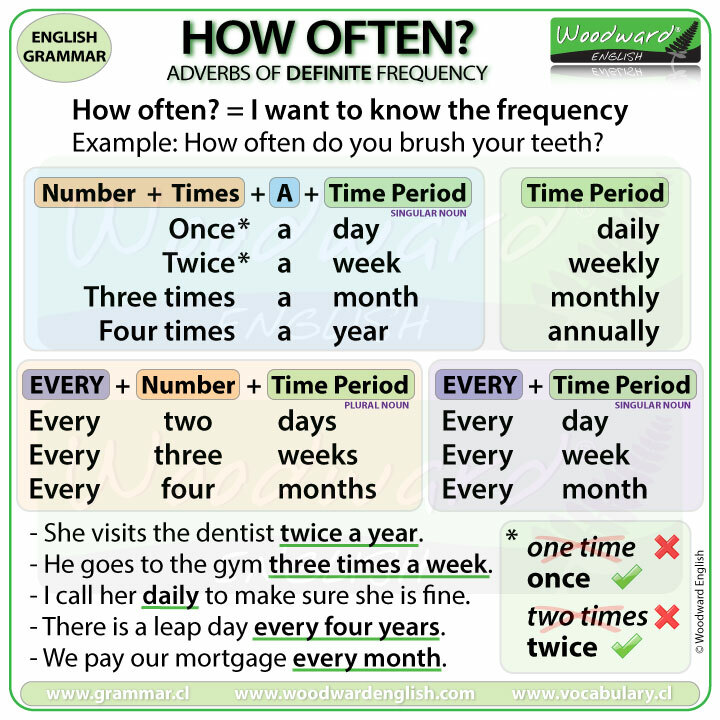 The second video is about Adverbs of DEFINITE Frequency such as once a week, three times a year, daily, every two months, etc. We also have these summary charts that you can use as a quick reference guide. I hope you found these videos and charts useful.